On 28th October 2015, to deploy Plan No. 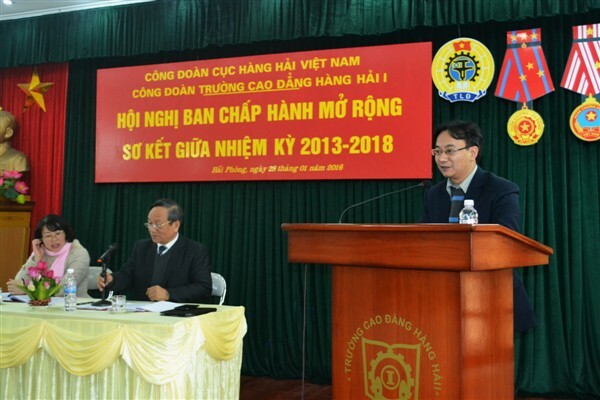 551 / KH – CDCHHVN of Vietnam Maritime Administration Trade Union, Trade Union of Maritime College No.1 held a conference of the extended Labor Board which aimed to summarize activities of Trade Union of the first half and deploy important tasks of the second half of the period. Among attendees are Mr. Tran TrongDuc–Deputy Chairman of Vietnam Maritime Administration Trade Union, Mr. DinhGiaVinh – Secretary of Committee of Communist Party, Meritorious Teacher Phan Van Tai – Rector, Meritorious Teacher Vu Van Dung – Vice Rector, Chairman and members of Trade Union, the Heads of departments, Secretary of Ho Chi Minh Communist Youth Union, Heads and Deputy Heads of Trade Union of departments. 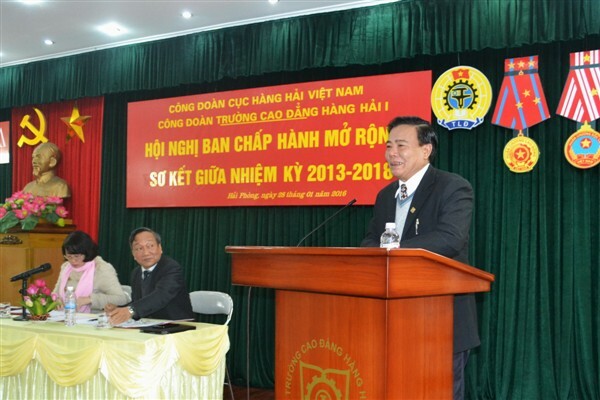 The conference included a number or reports of review of the periods of 2013 – 2015, the main tasks of the next period of 2015 – 2018, review of the first half of period of the Inspection Board and speech of Meritorious Teacher Phan Van Tai. 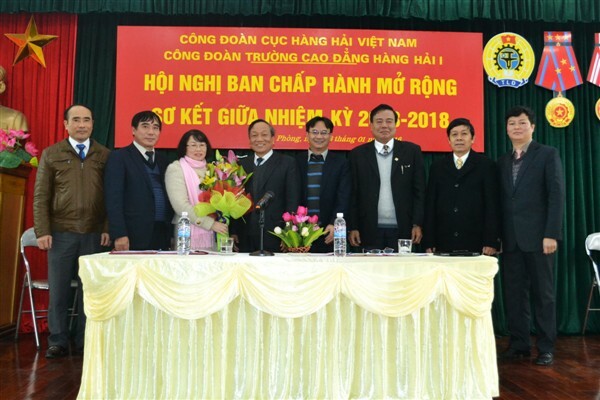 At the conference, Mr. Tran TrongDuc – Deputy Chairman of Vietnam Maritime Administration Trade Union highly appreciated the unity, effort of Maritime College No.1 Trade Union of enthusiastically participating in activities of Vietnam Maritime Administration Trade Union. Additionally, he also reminded that the Trade Union of Maritime College No.1 ought to enhance propaganda for officials and lecturers for completing their duties and try their best to develop the college. Mr. Nguyen Van Nam, Head of Student Affairs Department,was electedas a member of the Executive Boardand Ms. Vu ThiHai Van – Vice Rector, as the Chairman of the Trade Union Executive Board of Maritime College No.1 in the period of 2015 – 2018. The Mid-term conference in the period of 2013 – 2018 ended in great success.